Benchmark's Premiere 4oz popcorn machine offers a unique gold color with movie style graphics. 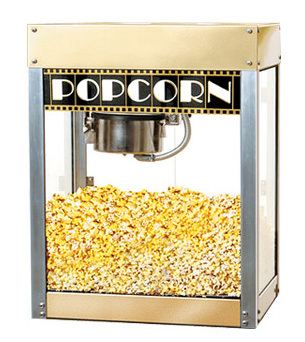 This machine offers a stainless steel food zone. 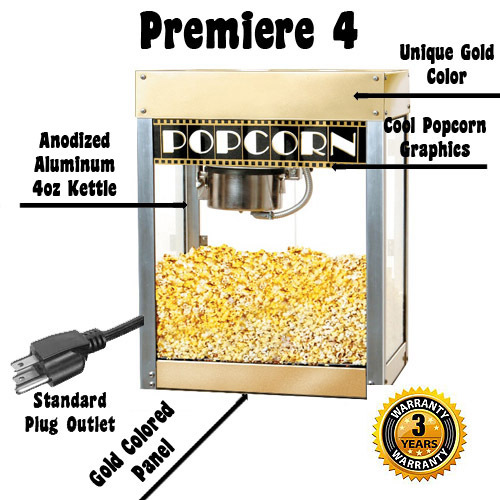 The Premiere popcorn popper features witches are on the back of the machine for easy operator use. 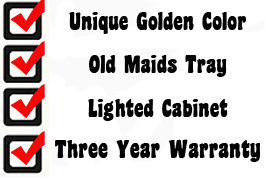 This machine offers a Three year warranty.